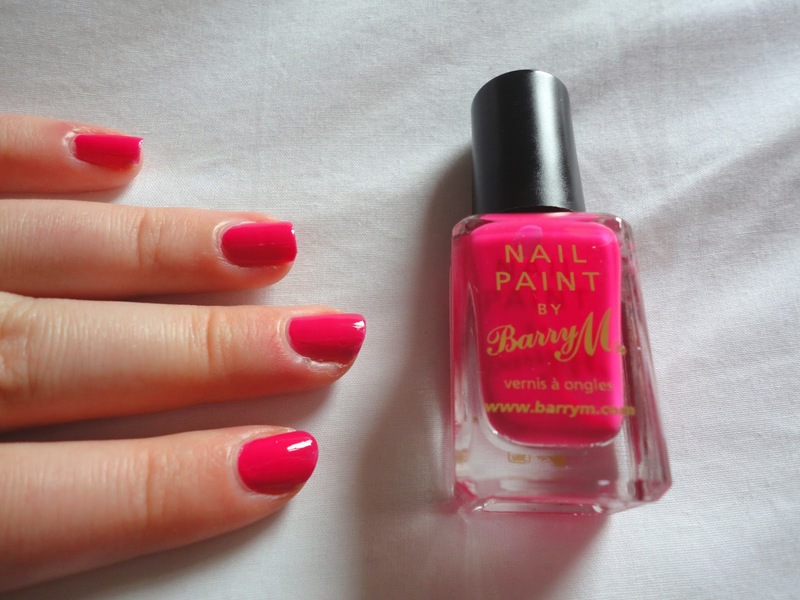 My top March Barry M picks! Barry M is by far one of my favourite nail varnish brands, not only is it affordable and super easy to get hold of, the bold, bright colours are always perfect to add that extra something to complete your look! For March I picked out some of my favourite colours, from pastels and an off-white, to bright pink with the added sparkle of glitter! (Because glitter is always appropriate!) I bought them all from my local Superdrug where they were on offer for 2 for £6! I really love this colour, and I feel like pink is something which goes with nearly everything. This shocking pink is perfect as its just starting to get a little warmer and a little brighter outside and the beginnings of spring are starting to emerge, this colour is sure to get you ready for the sunshine! 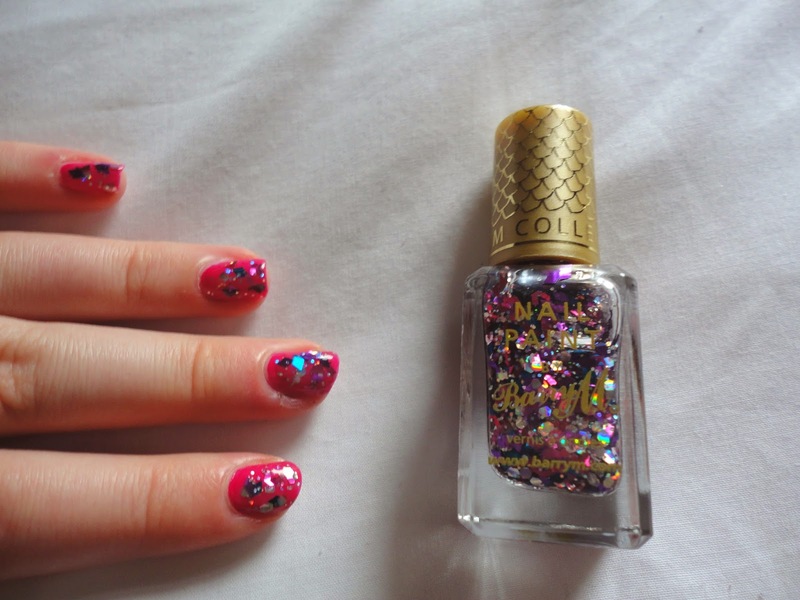 I honestly love glitter nails at the minute, and as I have a lot of events in March (mainly my birthday!) this glitter is perfect to add on top of a bright coloured coat of nail varnish to add that extra sparkle and shine to your look! I feel like this photo doesn't do it justice to how pretty it actually is, with all its rainbow coloured sparkles it looks seriously magical! I am somewhat obsessed with white nails, ever since I saw Kim Kardashian and the Jenner sisters rocking this colour I had to buy some for myself. This colour is great for any season, but especially spring/summer as it just looks so fresh and clean. I love pastel shades, whether its clothes or nail varnishes I just feel like they add that really sweet and endearing spring feeling to your outfit, especially with Easter just around the corner. One of the main things I love about Barry M is that even with a pale colour like this, you only need two coats and it produces a really strong colour to match the bottle. Lovely colors, they look really pretty on the eyes!